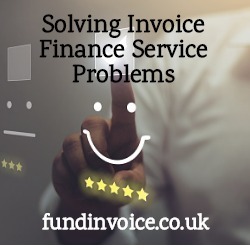 Service problems are rare in the invoice finance sector, but when they do arise, we have had some success helping clients solve service problems. We have just assisted a client who was using a bank owned invoice finance company, but they had suffered continual staff changes. After having the same Client Manager, the individual - often called a Relationship Manager - for a number of years they had been given three different contacts within the space of just 12 months. They felt like the relationship had broken down, so they were looking for alternatives. Although not always the case, there can be frequent changes of staff within larger organisations. Therefore, we selected a small provider for this particular client, one that could deliver a close, one to one relationship for the client. With a small independent provider, we often find that client's feel that they are valued by the finance company, it may be that by having a smaller portfolio of clients, a provider can focus on delivering a top class service to each of them. Companies often don't appreciate how key it is to have a good relationship with your invoice finance company. It's not like some financial facilities e.g. mortgages, where it really doesn't make much difference who you speak to after they have delivered the money. With invoice funding, you often need to speak to the provider, e.g. to request payments, to ask for overpayments, to discuss the chasing of your ledger if you are using factoring, or to discuss credit limits if you are using bad debt protection. So having a good relationship can be very important. If you are unable to solve a complaint, you could take a look at our guide to complaint handling within the invoice finance sector.